NOTE: Includes payload mount for easier integration with the selected launcher. 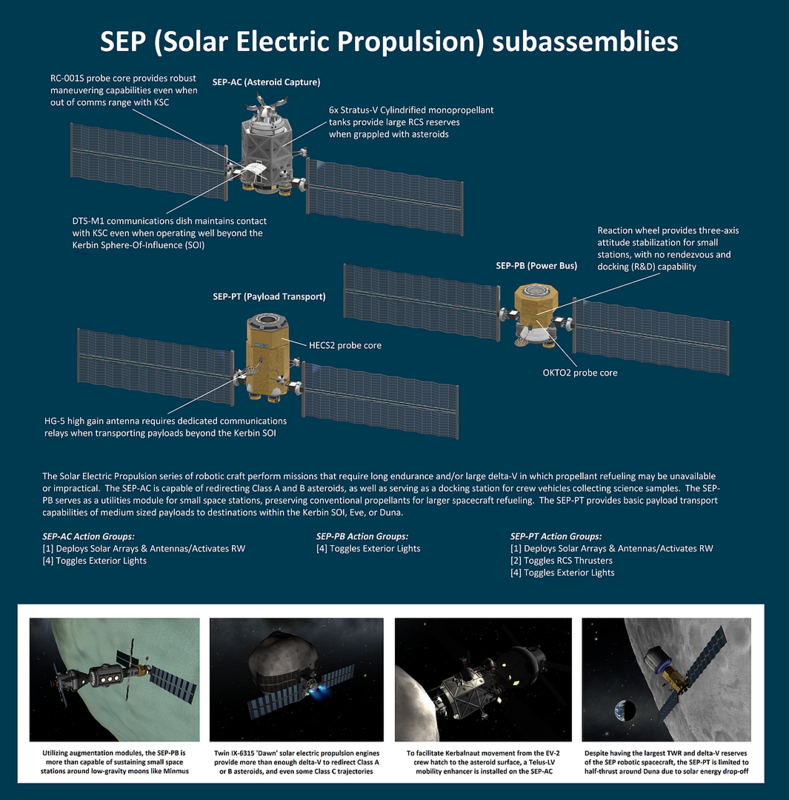 The Solar Electric Propulsion series of robotic craft perform missions that require long endurance and/or large delta-V in which propellant refueling may be unavailable or impractical. The SEP-AC is capable of redirecting Class A and B asteroids, as well as serving as a docking station for crew vehicles collecting science samples. The SEP-PB serves as a utilities module for small space stations, preserving conventional propellants for larger spacecraft refueling. The SEP-PT provides basic payload transport capabilities of medium sized payloads to destinations within the Kerbin SOI, Eve, or Duna. For lifters of various sizes and payload ratings, check out the Rocket Market. Built in KSP version 1.6.1.